We've got the most innovative solutions for the rail industry today with representation in over 39 US states and Canada. Tractive Power Corporation is pleased to be represented in the US by MH Equipment, Mobile Services and Equipment, RJ Material Handling, Pacific West Systems, and K&L Equipment & Mechanical. 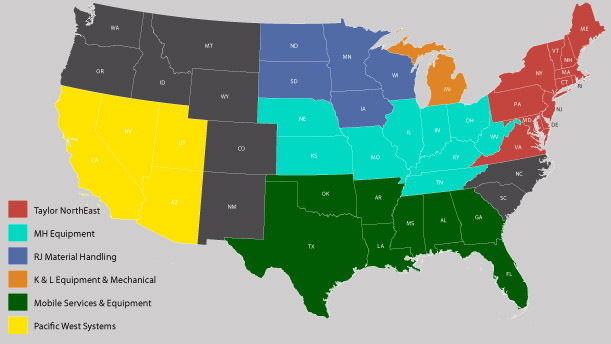 We are proud to be the only spotter locomotive company to have direct representation currently in 39 US states and Canada. 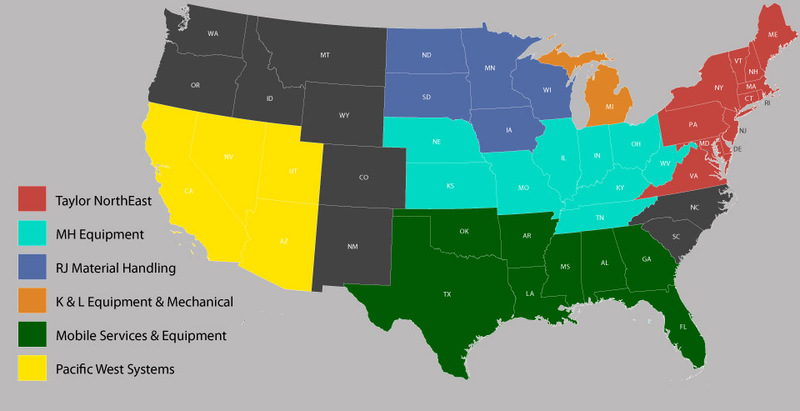 Come back here as we continue to expand our dealer representation across the entire US market. Falcon Equipment offers sales, services, parts and rentals in many parts of Canada as well as the USA. For all other inquiries for other regions/states not listed and provinces in Canada, please contact Tractive Power Corp.